2019 Europe City Breaks! 100% accessible! Acc Vans & Hand Controls Cars - To hire without driver! 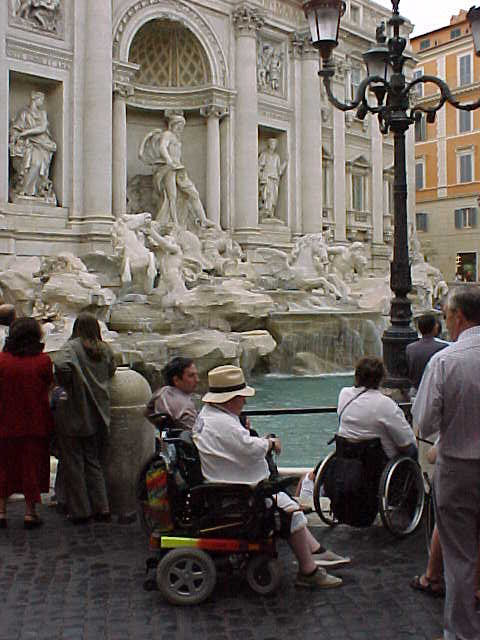 Many ways to call the same project to make anyone travel; even those who use a wheelchair, maybe a big power one, who perhaps has many and complex needs, perhaps with a great desire that could hardly fulfill: to travel and to meet the world! This is the mission of AccessiblEurope since it was created in 1995. Twenty years of travels and stays accessible to hundreds of tourists with special needs and a great desire to travel. Italy is our first destination, we are Italian and we will let you know our Country; but then, to any destination in Europe and in other Regions of the World, we are still among the very few skilled operators who can boast 20 years of experience with customers from USA, Australia, Canada, Europe, and in recent years, from Asia and South America too. Write to info@accessibleurope.com or call us via Skype (mmmax14) and let us know where and when you would like to travel. AccessiblEurope will fulfill your dreams!